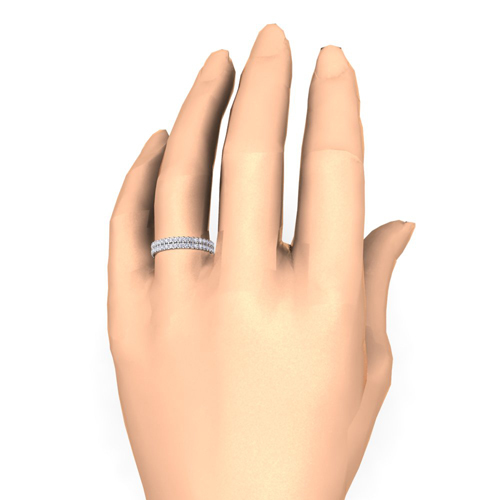 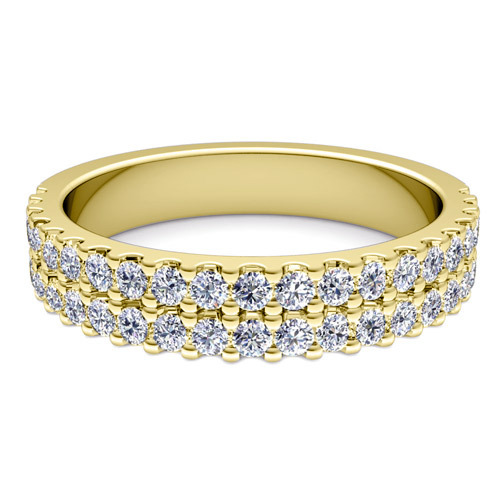 Create your own wedding ring band in micro pave setting with your choice of diamonds or natural gemstones in 14k or 18k white, yellow or rose gold and platinum. 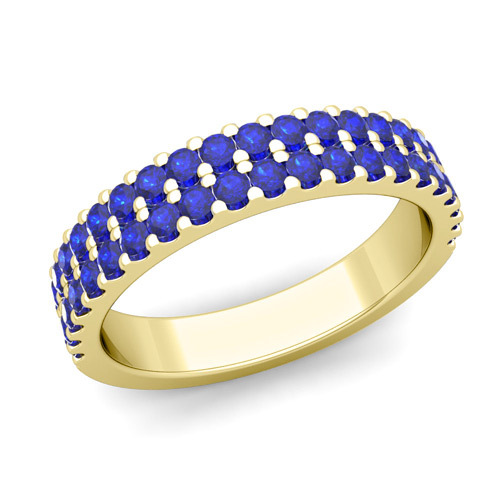 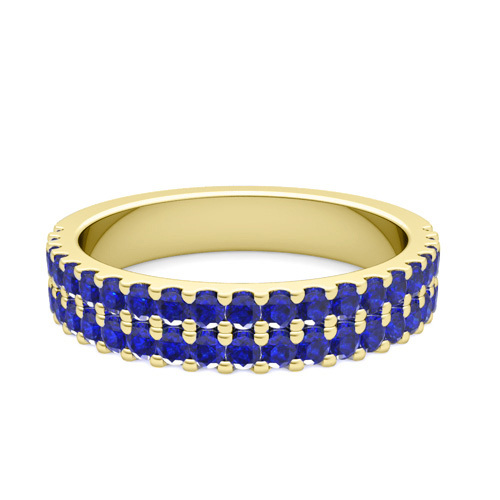 This eye-catching wedding ring showcases sparkling diamonds and sapphires set in a 14k gold two row wedding band, which striking design makes this ring a perfect choice as a wedding or anniversary ring. 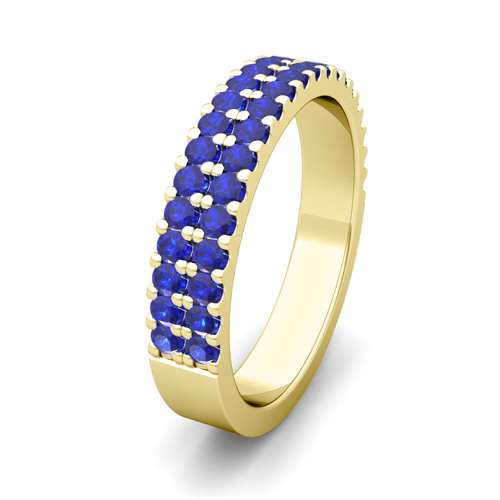 This eye-catching wedding ring showcases sparkling diamonds and sapphires set in a 18k gold two row wedding band, which striking design makes this ring a perfect choice as a wedding or anniversary ring. This eye-catching wedding ring showcases sparkling diamonds and sapphires set in a platinum two row wedding band, which striking design makes this ring a perfect choice as a wedding or anniversary ring. This eye-catching wedding ring showcases sparkling diamonds and pink sapphires set in a 14k gold two row wedding band, which striking design makes this ring a perfect choice as a wedding or anniversary ring. 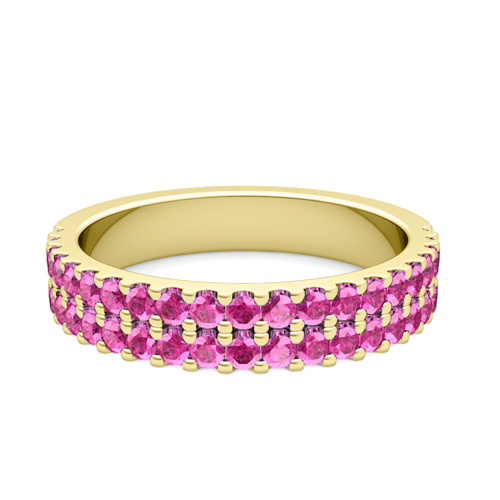 This eye-catching wedding ring showcases sparkling diamonds and pink sapphires set in a 18k gold two row wedding band, which striking design makes this ring a perfect choice as a wedding or anniversary ring. This eye-catching wedding ring showcases sparkling diamonds and pink sapphires set in a platinum two row wedding band, which striking design makes this ring a perfect choice as a wedding or anniversary ring. This eye-catching wedding ring showcases sparkling diamonds and yellow sapphires set in a 14k gold two row wedding band, which striking design makes this ring a perfect choice as a wedding or anniversary ring. This eye-catching wedding ring showcases sparkling diamonds and yellow sapphires set in a 18k gold two row wedding band, which striking design makes this ring a perfect choice as a wedding or anniversary ring. This eye-catching wedding ring showcases sparkling diamonds and yellow sapphires set in a platinum two row wedding band, which striking design makes this ring a perfect choice as a wedding or anniversary ring. This eye-catching wedding ring showcases sparkling diamonds and rubies set in a 14k gold two row wedding band, which striking design makes this ring a perfect choice as a wedding or anniversary ring. 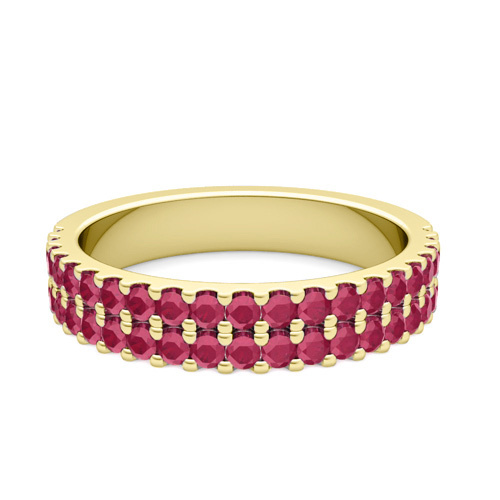 This eye-catching wedding ring showcases sparkling diamonds and rubies set in a 18k gold two row wedding band, which striking design makes this ring a perfect choice as a wedding or anniversary ring. This eye-catching wedding ring showcases sparkling diamonds and rubies set in a platinum two row wedding band, which striking design makes this ring a perfect choice as a wedding or anniversary ring. This eye-catching wedding ring showcases sparkling diamonds and emeralds set in a 14k gold two row wedding band, which striking design makes this ring a perfect choice as a wedding or anniversary ring. 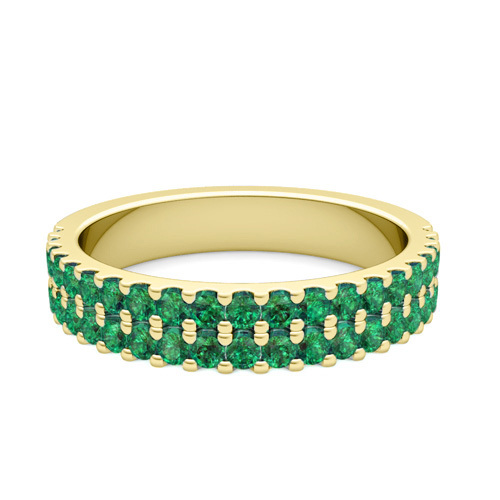 This eye-catching wedding ring showcases sparkling diamonds and emeralds set in a 18k gold two row wedding band, which striking design makes this ring a perfect choice as a wedding or anniversary ring. This eye-catching wedding ring showcases sparkling diamonds and emeralds set in a platinum two row wedding band, which striking design makes this ring a perfect choice as a wedding or anniversary ring. 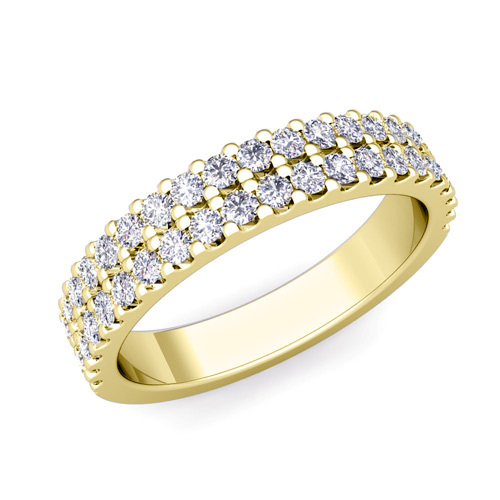 This eye-catching wedding ring showcases sparkling diamonds set in a 14k gold two row wedding band, which striking design makes this ring a perfect choice as a wedding or anniversary ring. 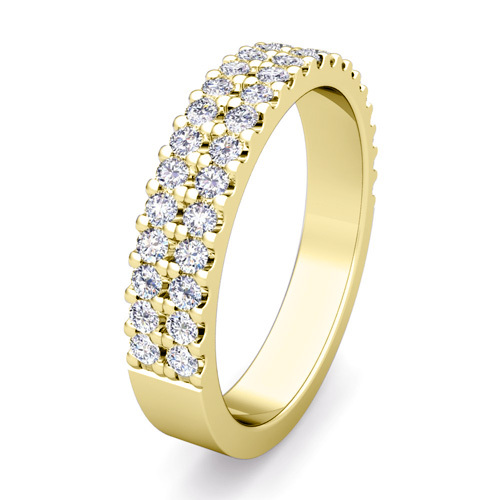 This eye-catching wedding ring showcases sparkling diamonds set in a 18k gold two row wedding band, which striking design makes this ring a perfect choice as a wedding or anniversary ring. This eye-catching wedding ring showcases sparkling diamonds set in a platinum two row wedding band, which striking design makes this ring a perfect choice as a wedding or anniversary ring. This eye-catching wedding ring showcases sparkling black and white diamonds set in a 14k gold two row wedding band, which striking design makes this ring a perfect choice as a wedding or anniversary ring. This eye-catching wedding ring showcases sparkling black and white diamonds set in a 18k gold two row wedding band, which striking design makes this ring a perfect choice as a wedding or anniversary ring. This eye-catching wedding ring showcases sparkling black and white diamonds set in a platinum two row wedding band, which striking design makes this ring a perfect choice as a wedding or anniversary ring.